Welcome to Winter in Australia - it's time to bunker down, snuggle up, and mooch around in warm, cosy pyjamas! Our girls are loving getting changed straight out of their school uniforms and into cuddly PJs, even before homework and dinner. Their flannel pyjamas are getting a workout, that's for sure. Bondville sponsor Four In The Bed has some particularly great, quality sleepwear for winter in sizes 2-16 years, in natural cotton fibres of course. Ditch the polyester; cotton and other natural fibres are essential for kids' sleepwear to prevent overheating in bed at night. Natural fibres breathe and keep kids warm when awake, but also cool and comfortable when their core temperature drops after they fall asleep. The bonus for us is that it means that kids are less likely to wake during the night feeling sweaty, or having kicked off their bed clothes. Oh my goodness, the cosiness! 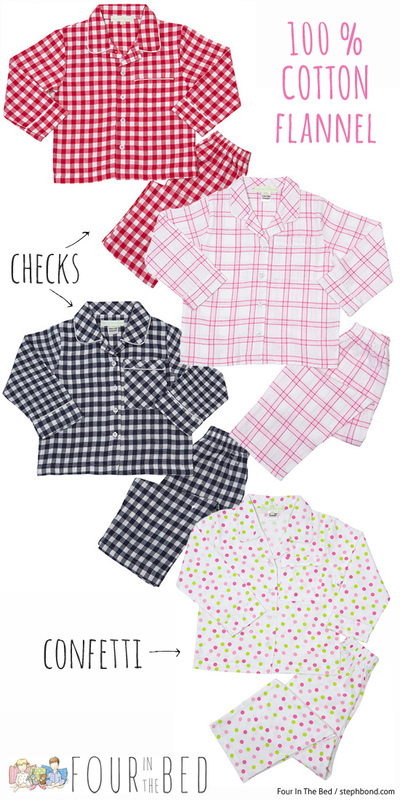 For extra snuggly sleepwear try Georgia Confetti, pretty Georgia Pink Check, Max Red Gingham, or Max Navy Gingham pyjamas (all $49.95). For kids that run a little warmer, soft cotton jersey is the perfect option. I love this very sweet looser fit Miranda Autumn Buds pyjama set and Gus Good Knight, Gus Multi Star or Jane Easter Floral pyjamas (all $39.95) with a skinnier fit and ribbed cuffs and ankles. 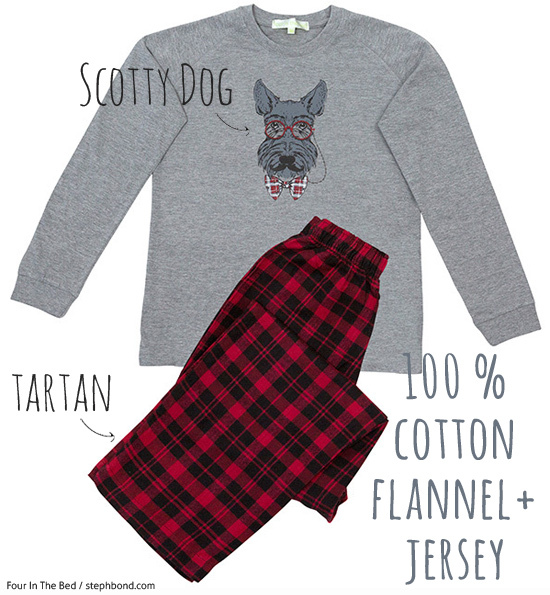 Or for those in-between kids who are neither hot nor cold (or those who just love this Inspector Scotty print like I do), the cotton jersey top and flannel red tartan pants Tom Scotty Dog Combo pyjamas set ($39.95) is spot on. 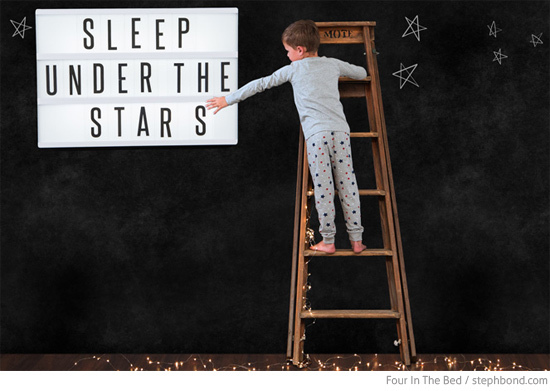 We love our Four In the Bed nightware and I hope you do too. 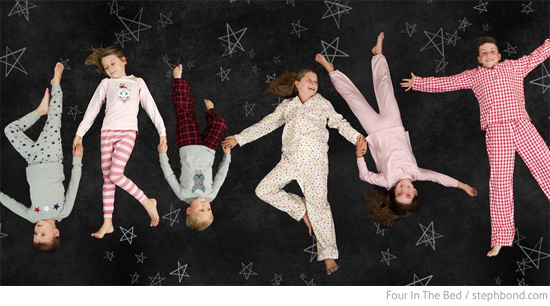 You can find these Winter pyjamas for kids as well as cotton jersey Winter nighties and cosy bathrobes in the Four In The Bed online store.